A large 2 3/4" medal with a premium diamond-cut border. 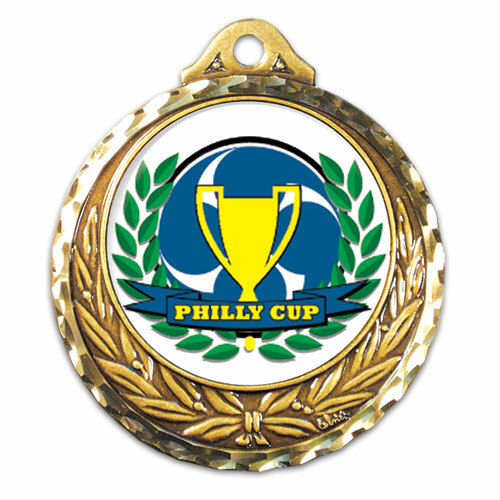 Each medal includes a full-color emblem in the middle, finished with an elegant epoxy dome. Our art department is available to help you design your new medals. An epoxy dome is included with your custom emblem. Optional engraving is available for $3.00(V).